Vector Realistic Silver 3d Payment Machine. 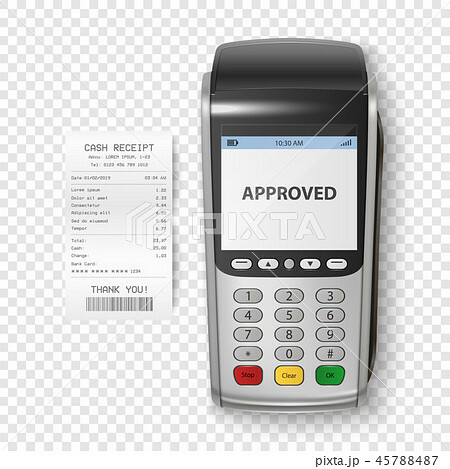 POS Terminal with Receipt Closeup Isolated. Design Template of Bank Payment Terminal, Mockup. Processing NFC payments device. Top View.